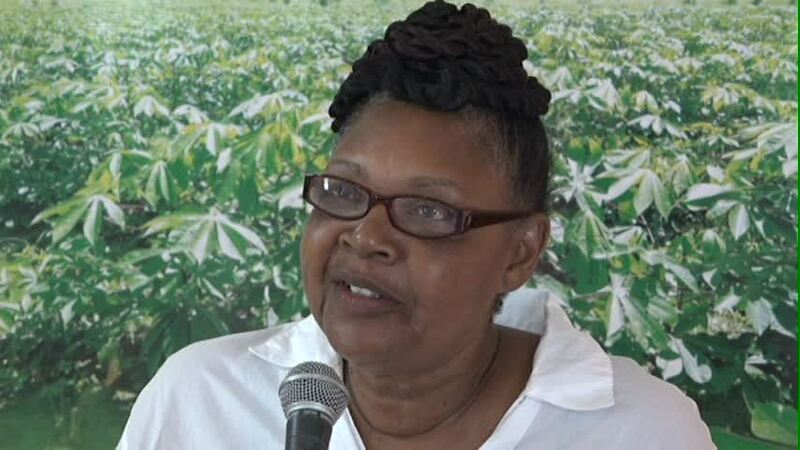 NIA CHARLESTOWN NEVIS (May 24, 2016) — Maureen Stapleton, an Agro-Processor from Cotton Ground Village on Nevis, says if bakeries on the island do not use the opportunity to integrate cassava in their products the agro processors will. She made the comment on behalf of participants at a closing ceremony at the Red Cross conference room on May 18, 2016, for a two-day Food and Agriculture Organisation (FAO) Bread Making Using Wet Cassava workshop. It was hosted by the Department of Agriculture as part of activities for Agriculture Awareness Month. “We, from the group this morning, we will run with it. If nobody else is going to run with it, the participants, I am going to be behind everyone. If the bakeries don’t want to do it the agro processors will. So we would have to garner more agro processors,” she said. Stapleton, a retired nurse who specialises in processing root crops, stated that eating incorrectly continues to impact the quality of life of young people. “You want your kids to live a good age. The bible says three score and ten and yet we see young diabetics. We have so many persons not eating correctly but this afternoon, I can vouch and tell you that cassava and all the root crops and breadfruit it’s the best,” she said. 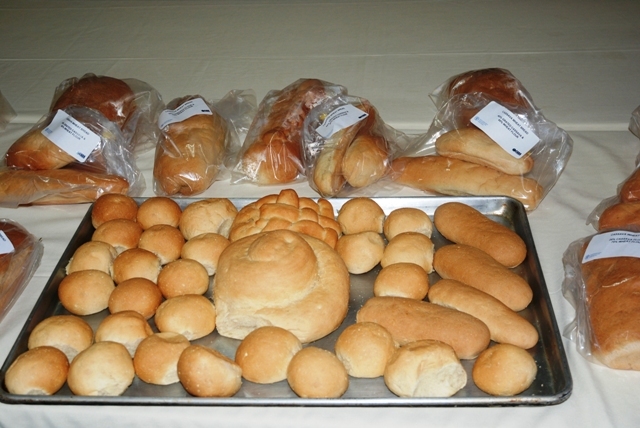 During the workshop, bread was made by replacing 40 and 25 percent of the wheat flour with grated sweet varieties of cassava in a basic recipe used by commercial bakeries. 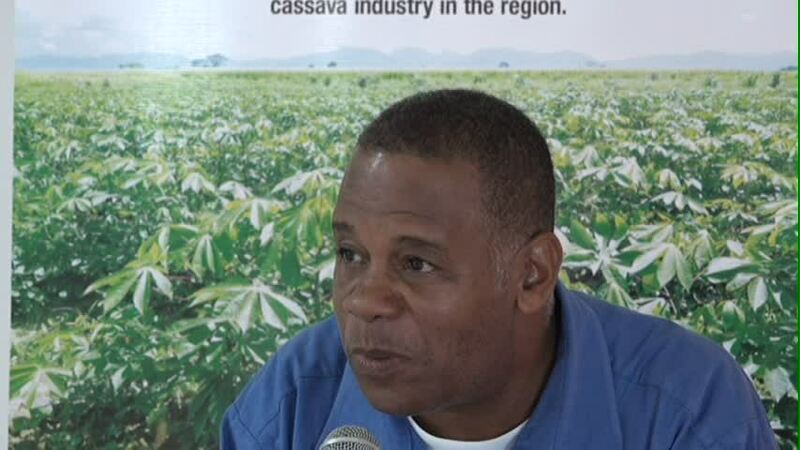 Permanent Secretary in the Ministry of Agriculture Eric Evelyn, in his remarks, said the Department for Agriculture has been trying to take the lead with greater production of cassava on government-owned farms. He expects that local farmers would do the same. He expressed hope that the people of Nevis would realise the importance of cassava and embrace the idea of consuming bread with cassava, given the large market in Nevis. 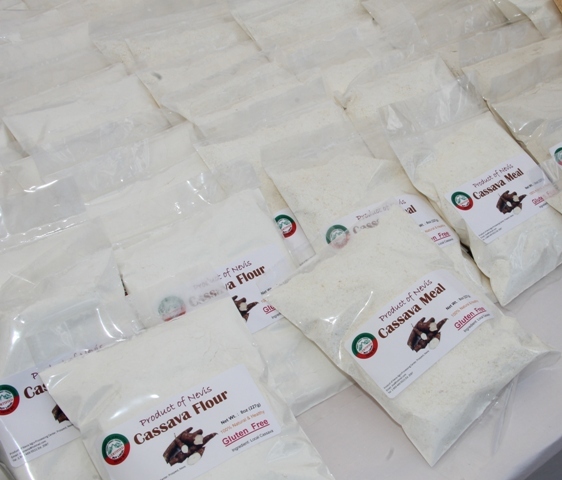 Evelyn noted that cassava presents a number of opportunities for the private and public sector – bakeries, supermarkets, the Department of Agriculture and for farmers who wish to cultivate more cassava once grated cassava and cassava flour is used in bread making. “I know there are some persons who are allergic to gluten and that is why persons have been flocking to the agro-processing centre to purchase some of the flour that we are making there in terms of getting an alternative to wheat flour. “So I believe the opportunities are there for our school feeding programmes, for the hospital, for the supermarket and I am really hoping that the bakeries would come on board,” he said. The Permanent Secretary used the opportunity to thank the FAO for their rapid response to the Ministry’s request for sending the cassava expert in the region to conduct the workshop. Meantime, facilitator Vermaran Extavour, Regional Project Coordinator at the FAO said the use of cassava to reduce the food import bill of countries in the region is an important quest for Caribbean governments. Extavour works specifically in the area to support the development of cassava in the region. She explained that over the past 18 months, she has been working with bakeries throughout the region to find innovative ways to introduce the use of local cassava to help reduce the importation of wheat products which is among the top 10 commodities imported. According to Extavour, cassava is an ideal crop since it has global potential, has demonstrated to be climate smart, is one of the most drought tolerant crops available today given the ongoing changes in climate, it doesn’t require a lot of water unlike sweet potato, dasheen and eddoes. She said cassava is hardy and it can also stay in the ground for extended periods, depending on the variety and climatic conditions and lends itself to creating new job opportunities for further development into other commercial products. The FAO expert urged the private sector to engage consumers and underscored the need for a public/private sector partnership in order to increase consumer awareness. 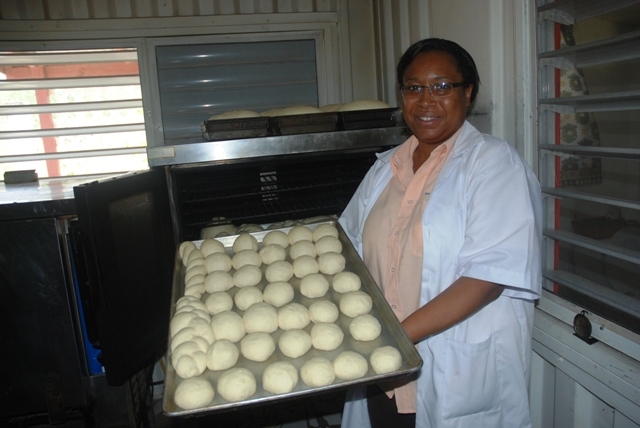 “It has to be in partnership with the private sector for your bakeries to come on board and say yes we are going to join you in promoting this product and we also believe it has benefit, not just for national development but also a competitive price point because people are in business to earn revenue,” she said.